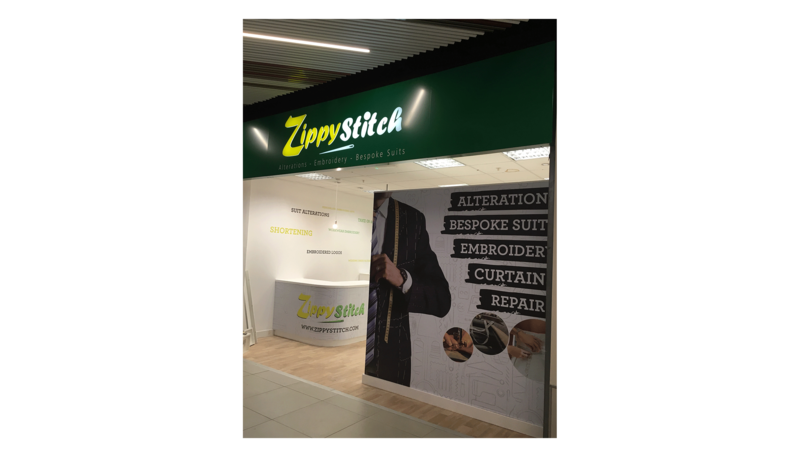 Zippy Stitch specializes in clothing alterations and bespoke tailoring in the Surrey & Kent areas. 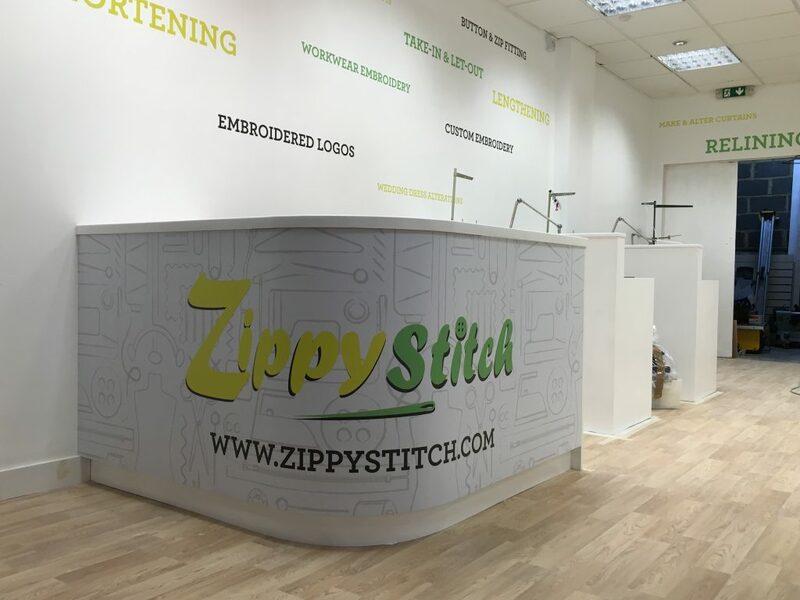 We were commissioned by Zippy Stitch to design, print and install wall graphics for their brand new shop in Maidstone. Working through the night installing the graphics to make sure it was complete for opening the next morning. 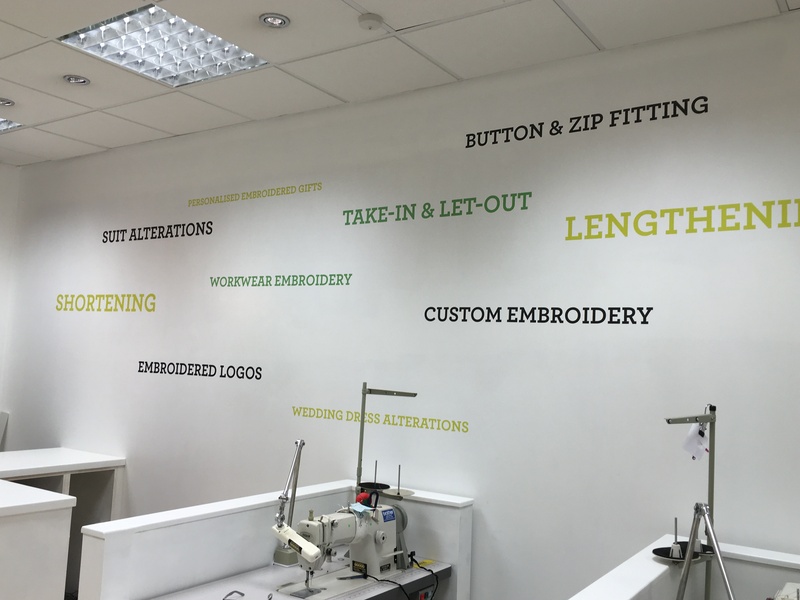 The design reflects the diverse range of services Zippy Stitch provides and highlights the most important ones.